The Naqalia Lodge is a family-run resort on the Waya lailai Island. There are 5 spacious bungalows with view over the ocean. Each room provides an own bathroom, one king size bed and two single beds. The beds are all equipped with mosquito nets. The Naqualia Lodge is the perfect spot to feel like a part of the Fijian family and to get to know the traditions of Fiji. The white sand beach tempts the visitor to relax and sunbathe, the coral reef within the turquoise blue water promises an exceptional snorkel-experience. Other provided activities are for example fishing, kayaking and shark-swimming. On the island of Waiya Lailai there are also several offers for those who desire to hike. South Sea Island Only 30 minutes away from the main island is the little South Sea Island located. The ones who always wanted to be on a tiny island, are able to circuit it within some minutes, this is the place to be! The South Sea Island Resort provides a large 30 bed dorm and an own pool. During the day this is the ideal place to snorkel: sometimes it is even possible to observe reef sharks! In the evening the staff of the resort will take care for entertainment. The Barefoot Island Lodge on the Drawaqa Island is the perfect spot for an outstanding adventure. Being completely detached from any luxury you are usually used to, you will find simple life in an affectionate and comfortable atmosphere. 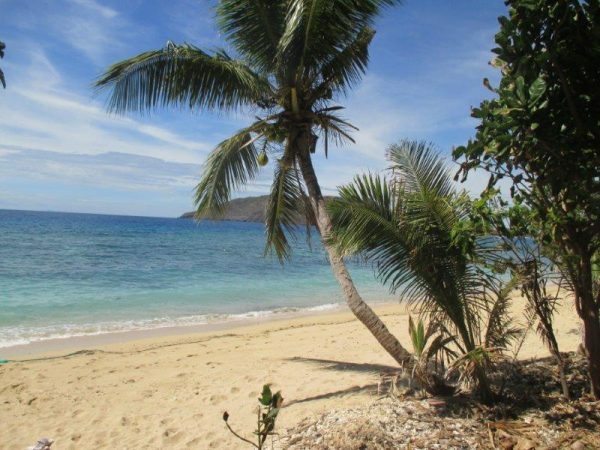 You are going to live in one of the 21 traditional “Bures”, which are typical Fijian wooden beach houses. The Barefoot Island Lodge offers Wi-Fi and activities like scuba diving, kayaking and trekking, for instance. The main attraction is doubtlessly taking a swim with the manta rays, which should not be missed! The Blue Lagoon Beach Resort covers any requirements: Beginning with pleasant multi bed rooms it offers accommodation up to luxurious mansions with Open Air bathrooms! The Resort is distinguished by its outstandingly friendly staff, delicious meals and a perfect location. Situated directly beside the blue lagoon it is the ideal spot to dive and snorkel! The sunbeds on the perfect white sand beach tempt the visitor to take an exotic cocktail while enjoying the stunning view over the crystal clear water of the turquoise blue ocean and to realize life’s beauty. The Coralview Island Resort is situated on the wonderful island Tavewa. The resort provides comfortable wooden “Bures” for one respectively two persons and a 20 bed “Bure” dorm. In case you want action instead of lazily lying on the beach, you can snorkel, dive, Jet Ski, test knee boarding, go fishing or even dive with sharks. Everybody will get one’s money’s worth!